Chicago is a city in the state of Illinois and the largest in the Midwest. With its population of over 2.8 million people located almost entirely in Cook County (a small portion of O'Hare International Airport overlaps into DuPage County), Chicago is the third largest city in the United States. The population of Chicago's metropolitan area, which covers several counties, contains over 9.7 million people in Illinois, Wisconsin and Indiana, making it the third largest metropolitan area in the U.S. Chicago is classified as an alpha world city Located at the site of a portage between the Great Lakes and the Mississippi River watershed, Chicago was incorporated as a city in 1837. It rapidly became a major transportation hub, as well as the business, financial, and cultural capital of the Midwest. Regionally, Chicago can be divided by the river and its branches into three main sections: the North Side, the South Side, and the West Side. In the late 1920s the city was subdivided into 77 "community areas" by sociologists at the University of Chicago. The boundaries of the community areas are better defined than those of the over 210 neighborhoods throughout the city, allowing for better year-by-year comparisons. A view of the Loop from the Aon Center.The downtown area, lying somewhat roughly between Division Street on the north, Lake Michigan on the east, Roosevelt Road on the south and DesPlaines Avenue on the west, is the main commercial and cultural section of the city and includes the city's tallest buildings. In recent years, downtown has become so popular it has taken on the additional role as a residential enclave, with a high number of residents living there. The area of the Loop, located within downtown, was named for a circuit of cable cars and later for the elevated train Loop where practically all branches of the CTA elevated and subway trains lead. Some of downtown's commercial, cultural, and financial institutions are located in the Loop. The city's North Side (extending north of downtown along the lakefront) is the most densely populated residential section of the city. It contains public parkland and beaches stretching for miles along Lake Michigan to the city's northern border. Much of the North Side has benefited from of an economic boom which began in the 1990s. For example, the River North area, located just north of the Chicago River and the Loop, has undergone a transition from a warehouse district to an active commercial, residential, and entertainment hub, featuring the city's largest concentration of contemporary art galleries. Just west of River North's galleries and bistros, demolition of the CHA's Cabrini-Green housing project began in 2003, being replaced by upscale townhomes. The South Side (extending south of downtown along Lake Michigan) is the largest section of the city, encompassing roughly 60% of the city's land area. The section along the lake is marked with public parkland and beaches. The South Side has a higher ratio of single-family homes and also contains most of the city's industry. Along with being the largest section of the city in terms of geography, the South Side is also home to two of the city's largest parades: the annual Bud Billiken Day parade, which is held during the second weekend of August and celebrates children returning to school, and the South Side Irish Parade, which is always held the Sunday prior to Saint Patrick's Day, unless the holiday falls on a Sunday in which case the parade is held that day. The South Side has two of Chicago's largest public parks. Jackson Park, which hosted the World's Columbian Exposition in 1893, is currently the site of the Museum of Science and Industry. The park stretches along the lakefront, linking the neighborhoods of Hyde Park and South Shore. Washington Park, which is connected to Jackson Park by the Midway Plaisance, is currently being considered as the primary site of the Olympic Stadium for the 2016 Summer Olympics if Chicago wins the bid. The West Side (extending west of downtown) is made up of neighborhoods such as Austin, Lawndale, Garfield Park, West Town, and Humboldt Park among others. Some neighborhoods, particularly Garfield Park and Lawndale, have socio-economic problems including urban decay and crime. Other West Side neighborhoods, especially those closer to downtown, have been experiencing a rise in property value. Major parks on the West Side include Douglas Park, Garfield Park, and Humboldt Park. Garfield Park Conservatory houses one of the largest collections of tropical plants of any U.S. city. Cultural attractions on the West Side include Humboldt Park's Puerto Rican Day festival, and the National Museum of Mexican Art in Pilsen. The Chicago Public Schools (CPS) is the school district that controls over 600 public elementary and high schools in Chicago. The school district, with more than 400,000 students enrolled,  is led by CEO Arne Duncan. The CPS also includes several selective-admission magnet schools. Like many urban U.S. school districts, Chicago Public Schools suffered many problems throughout the latter half of the 20th century, including overcrowding, under-funding, mismanagement and a high dropout rate. In 1987, then U.S. Secretary of Education William Bennett named the Chicago Public Schools as the "worst in the nation." Several school reform initiatives have since been undertaken to improve the system's performance. Reforms have included a system of Local School Councils, Charter Schools, and efforts to end social promotion. The most notable and public of these reforms has been a concerted effort at aggressively closing down underperforming schools while at the same time renovating and improving successful ones or building new ones. Some schools Like Esmond Elementary school in Beverly/ Morgan park has come off of the closing list because of continiously improving test scores along with many other Schools in the city.last year the schol system had out preformed the other Schools in the state even though the test scores were lower. The Roman Catholic Archdiocese of Chicago operates the city's Roman Catholic schools, among which are three Jesuit schools: Cristo Rey Jesuit High School, St. Ignatius College Preparatory School and Loyola Academy. Among the more well-known private schools in Chicago are the Latin School and Francis W. Parker School in the Lincoln Park neighborhood, as well as the University of Chicago Laboratory Schools in Hyde Park and the Ida Crown Jewish Academy in West Ridge. The University of Chicago's Midway Plaisance, a long stretch of parkland that bisects the campusSince the 1890s, Chicago has been a world center in higher education and research. Three universities in or immediately adjoining the city, the University of Chicago, the University of Illinois at Chicago, and Northwestern University, are among the top echelon ("DRU/VH") of doctorate-granting research universities according to the Carnegie Classification system. The University of Chicago, one of the world's most distinguished universities, is located in Hyde Park on the city's South Side. The university is associated with 81 Nobel Prize Laureates. The university's School of Business maintains a campus in downtown Chicago. Northwestern University, a private university of national prominence, is located in the adjacent northern suburb of Evanston. Northwestern also maintains a downtown campus, The Feinberg School of Medicine and School of Law, both of which are located in the city's Streeterville neighborhood. The University of Illinois at Chicago, a nationally ranked public research institution, is the city's largest university. UIC boasts the nation's largest medical school. The Illinois Institute of Technology main campus in Bronzeville has renowned engineering and architecture programs and was host to world-famous modern architect Ludwig Mies van der Rohe for many years, and the IIT Stuart School of Business and Chicago-Kent College of Law are located downtown in the financial district. Prominent Catholic universities in Chicago include Loyola University and DePaul University. Loyola, which has campuses both on the North Side as well as downtown, and a Medical Center in the west suburban Maywood, is the largest Jesuit university in the country while Depaul is the largest Catholic university in the U.S. The Chicago area has the largest concentration of seminaries and theological schools outside the Vatican. The city is home to the Catholic Theological Union, Chicago Theological Seminary, Lutheran School of Theology at Chicago, McCormick Theological Seminary, Meadville Lombard Theological School, North Park Theological Seminary, and the Divinity School of the University of Chicago, and the Moody Bible Institute. DePaul University's College of Commerce at State Street and Jackson Boulevard downtown in the Chicago Loop.State funded universities in Chicago (besides UIC) include Chicago State University and Northeastern Illinois University. The city also has a large community college system known as the City Colleges of Chicago. Founded on the principles of social justice, Roosevelt University was named in honor of president Franklin D. Roosevelt, two weeks after his death. It houses the Theatre and Music Conservatories under the Chicago College of Performing Arts. Rush Medical College, now part of Rush University, was the first institution of higher learning chartered in Illinois and one of the first medical schools to open west of the Alleghenies. The school received its charter on March 2, 1837, two days before the city of Chicago was incorporated. Fine and Performing Arts programs in Chicago may be pursued at numerous accredited institutions, which include The School of the Art Institute of Chicago, The American Academy of Art and Columbia College Chicago. The Cooking and Hospitality Institute of Chicago, became affiliated with Le Cordon Bleu of Paris in June 2000. Linda Lists and Sells: Chicago Homes For Sale, Chicago Real Estate, Chicago Latest New Listings, Just Listed Homes In Chicago, Chicago New Construction, Chicago Short Sale Listings, Short Sales In Chicago, Chicago Illinois Foreclosures Listings, New Listings Foreclosure Homes In Chicago, Chicago REMAX Latest New Listings, Chicago Homes, Chicago Condos, Chicago Townhomes, Chicago Land, Chicago Commercial, Chicago Industrial, Chicago Multi Family, Chicago Single Family, Chicago Waterfront, Chicago Vacation, Chicago Rental, Chicago Lease, Chicago Investment Properties, and Chicago Properties. Linda Price is the Best Chicago, IL Relocation, Buyers , Sellers Listing Agent for You! real estate needs and expectations! For over years, Linda Price has been recognized as the Best Leading Top Producing Relocation Referral Real Estate Agent, Realtor, Broker in America, the United States, Illinois, Chicagoland, and the Chicago Western Suburbs! Linda's expertise and experience have enabled her to provide Exceptional Guidance and Service for Relocation Transferees on a Local and National basis throughout America and the United States. Linda is the Leading Best Top National Relocation Referral Agent, Realtor, Broker and the Leading Top Best International Relocation Referral Agent, Realtor, Broker! United States, Chicago, Illinois and Chicago Western Suburbs. With recent Illinois Sales of approximately 22 million dollars, Linda is Rated The #1 Individual Agent in Listings, Sales Production, and Overall Performance for 2012 at REMAX. With over 118 Best Top Agents, REMAX of Naperville is rated Number One in Illinois in Closed Sales and Listings Volume for the past years. Linda Price has achieved recognition from REMAX as one of the Top 10 Agents in Illinois & Chicagoland. Linda Price has been recognized by REMAX with the Elite "Life Time Achievement" Award! 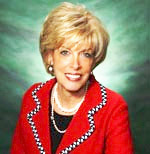 As a REMAX "PLATINUM AWARD" Winner, Linda Price is recognized as the Best Leading Top Producing Residential, Commercial, Industrial Real Estate Agent, Realtor, Broker, Short Sale Specialist, Pre-Foreclosure Expert, Foreclosure Specialist in the Midwestern United States, America, Chicago, Illinois, Chicagoland and the Chicago Western Suburbs. Linda Price is the Best Top Agent in America, Chicago Western Suburbs and Illinois for You! Specialist and Listing Agent in America and the Midwestern United States! and facilitate all aspects of your next move anywhere in America, or the Midwestern United States. National and International Relocation require the Skills, Expertise and Experience that can only be provided by Linda Price and her Team of Relocation Experts! Senior Citizens Real Estate Specialist - Providing a Complete Seniors Program to facilitate the Sale of the Home, Personal Property Auctions, and assist in all aspects of their move to a retirement or assisted living residence. Property Management - As a Broker, Linda is a Leader in residential and income property rental management, and maintenance supervision. If you're Buying or Selling Residential, Commercial, or Industrial Real Estate Properties in DuPage County, Kane County, Kendall County, Will County or Cook County, you need to Contact Linda Price. You will find out why she is "The Leader In Real Estate Results!" With such an Exceptional Real Estate Career as Linda's… It's no wonder why Linda Price is known as the Best Agent, Best Realtor, Top Agent, Top Realtor, Leading Agent, Leading Realtor, Top Producing REMAX Agent, Best Top Producing Realtor, Best Senior Citizen Real Estate Specialist Agent, Realtor, the Best Top Senior Citizens Agent, Realtor, the Best Leading Top REMAX Relocation Referral Agent, Realtor, Broker, the Best Leading Top Agent Realtor, Broker in America, the United States, Chicago, Illinois, Chicagoland, and the Chicago Western Suburbs. Linda is the Best Leading Top Producing Buyers Agent, Sellers Agent, Realtor, Broker in Chicagoland. Linda Price is an Expert Short Sale Specialist and Pre-Foreclosure, Foreclosure Real Estate Specialist with the Experience you can count on when you need it. Linda Price is the Best Top Leading National and International Relocation Transferee Referral Buyers Agent, Sellers Agent, Realtor, Broker with Unique Marketing Skills, Programs and Experience that will surpass your needs and expectations. Whether your next move is local, National or International, when it comes to Relocation…You can count on Linda's Expertise! As a Leading Top International and National Agent, Realtor, Broker, Linda can arrange for you to view any of The Latest Listings anywhere Locally, Nationally, or Internationally. Linda's "Realtors Connection" Best Top Agents Relocation Referral Team will exceed your expectations and provide you with the service you deserve when you need it the most! you in every detail of your relocation anywhere in the United States or the World! You will find out why Linda is the Best Top Agent in Illinois, America, and the Midwestern United States with the Experience and Leadership you need whether buying or selling. Linda Price is an Agent of REMAX OF NAPERVILLE. Neither Linda Price nor the Service Providers for Linda Price are liable for Errors or Inaccuracies in the Information provided through this web site. Copyright Birdview Technologies.